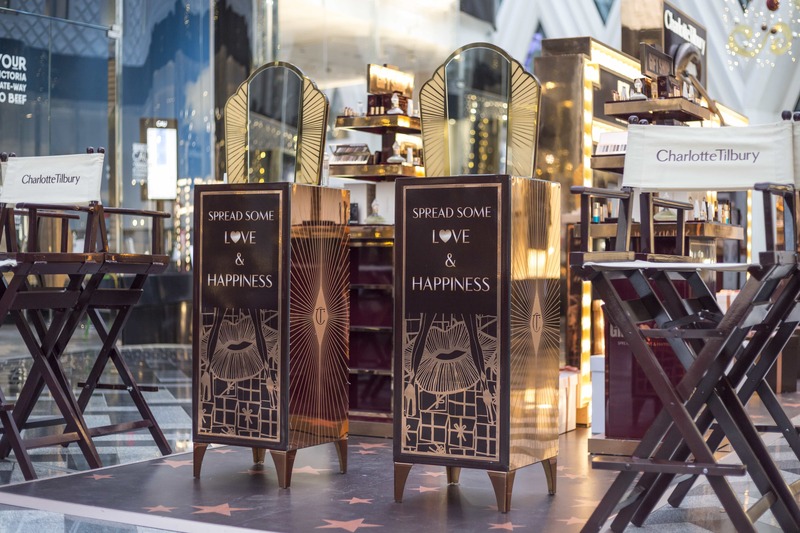 Spread Some Love & Happiness “ The Charlotte Tilbury motto of Christmas 2017. 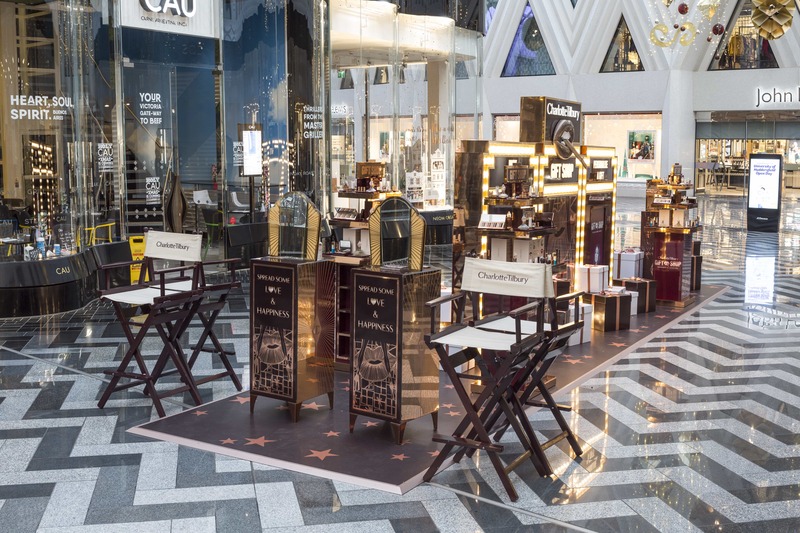 And to help spread the joy, a pop-up space in Leeds Victoria takes the phrase gift shop to a whole new glamorous level. Already having a relationship with the beauty brand, D4R were happy to get involved with this latest festive instalment. 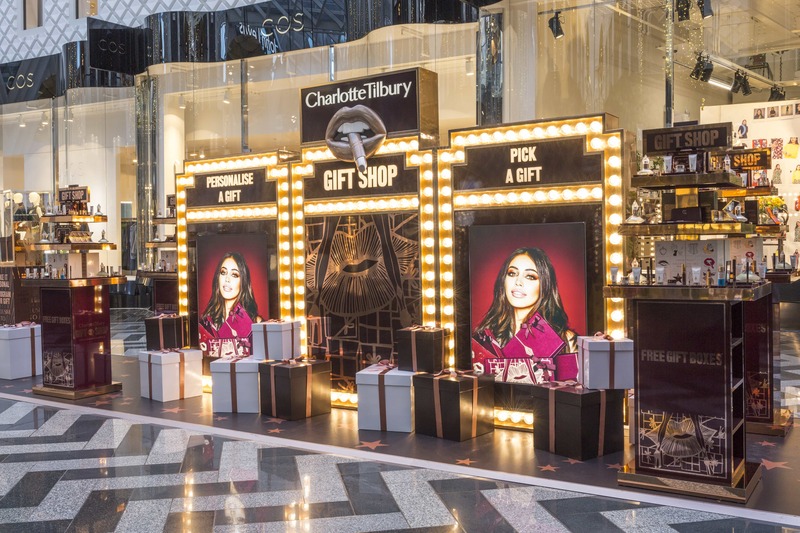 We helped with a sneak preview of this Gift Shop campaign in our production of their window displays, as part of our involvement with Tilbury's Global Launch direction. 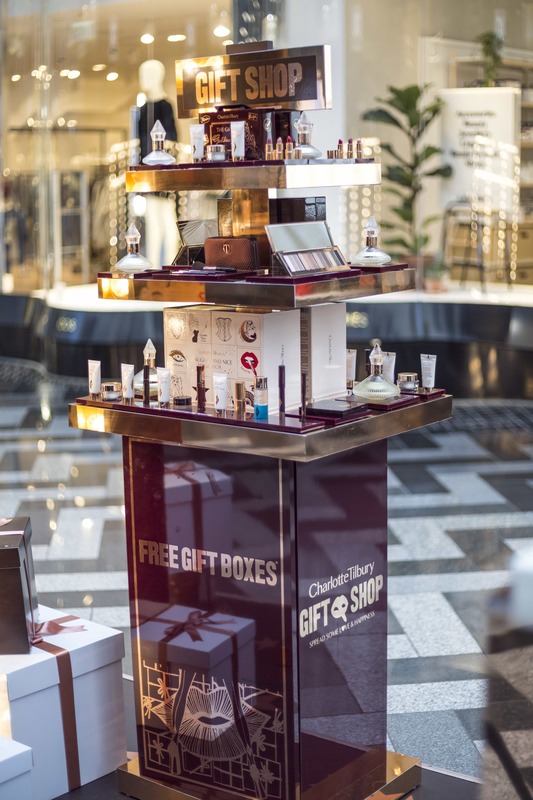 This time, it's a travelling pop-up for the Gift Shop, starting its travels up north. The layout and composition are similar to the brand's #GlowMo launch. However, the D4R team updated the flooring, graphics and oversized props to feature the new exclusive Christmas theme. The props and text were originally created to be interchangeable, ensuring that the space could be re-used efficiently. 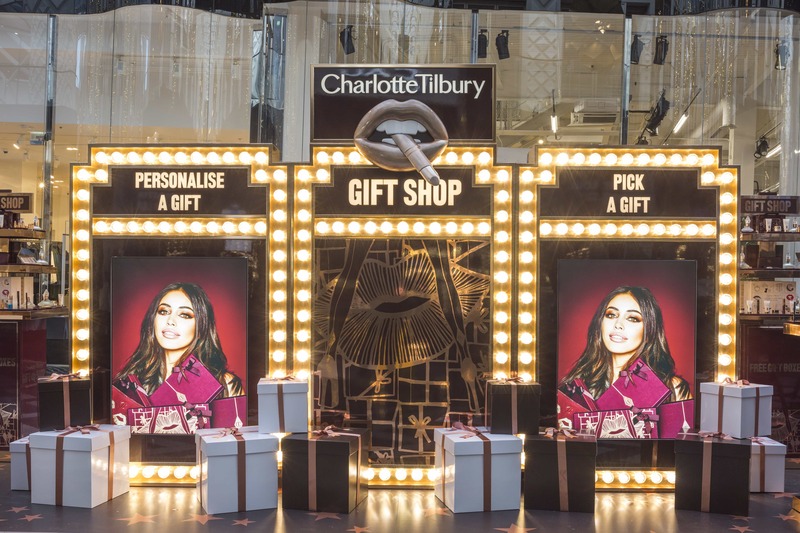 The gift shop campaign takes the sultry, glamorous nature of Charlotte Tilbury and applies it to the indulgence of Christmas and gift-giving. 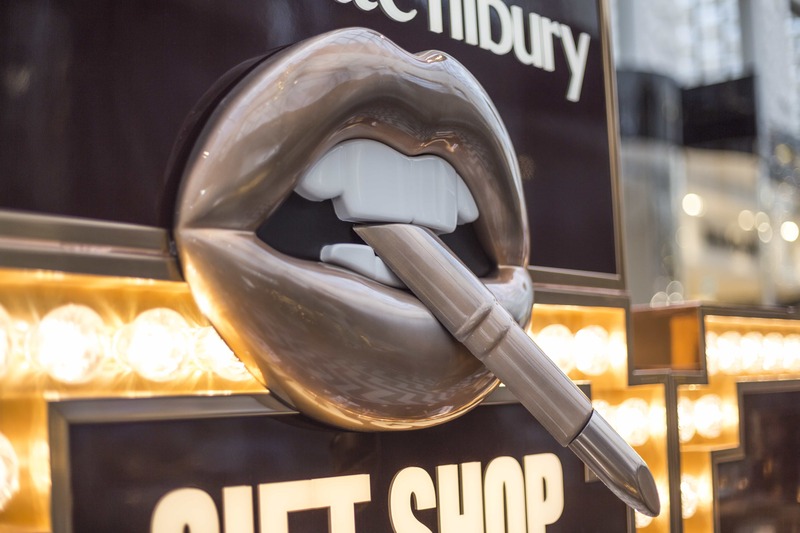 Key brand highlighters such as statement lighting, rose gold finishes and iconic three-dimensional lips make the space overtly Tilbury. 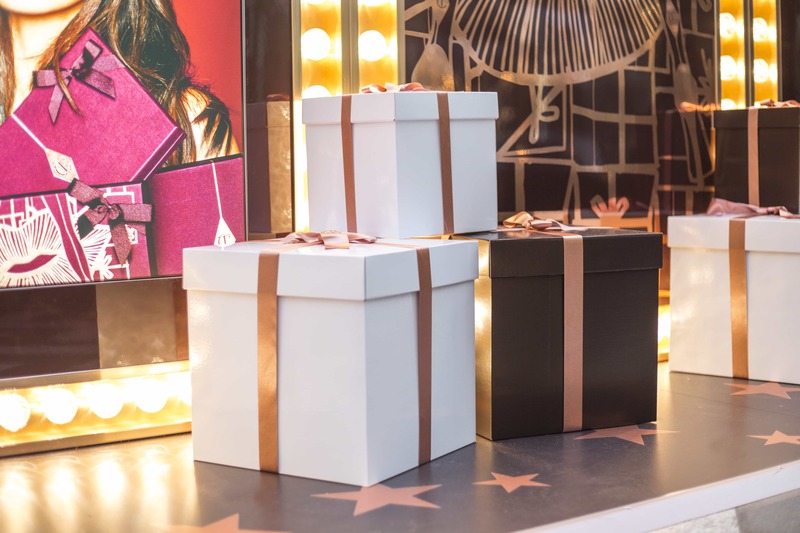 However, the addition of the oversized gift boxes hone in on the fact that this pop-up is all over the festival season. New to this space is the inclusion of tester sections. Tricks, treats and trinkets is the new version of a Christmas tree, but this time it's a three-tier tester area. At the top, customers can find the perfect stocking filler whilst the bottom 'trinkets' layer is for those who want to indulge a little more. Finally, the brand hasn't forgotten the key 2017 trend of personalisation. 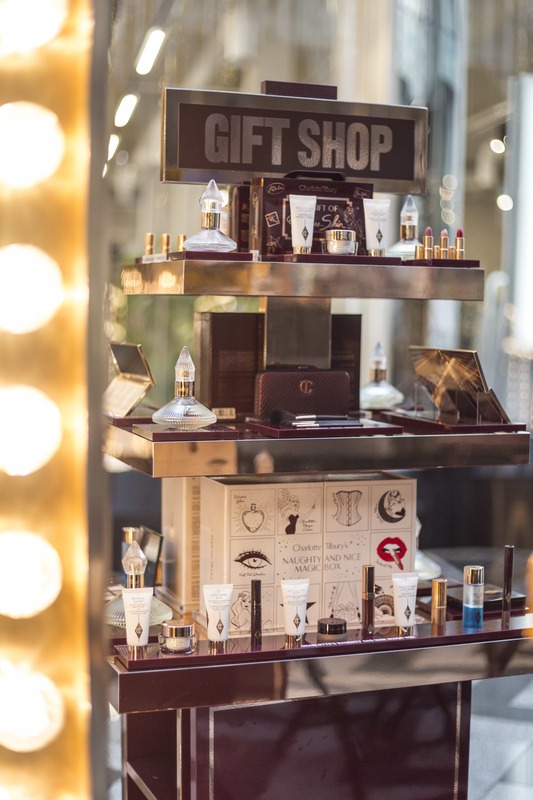 Not only can customers pick the perfect gift at this pop-up, when they visit the store to purchase, they can choose to personalise products with a special monogramming service. Choose a Tilbury product, but make it yours. 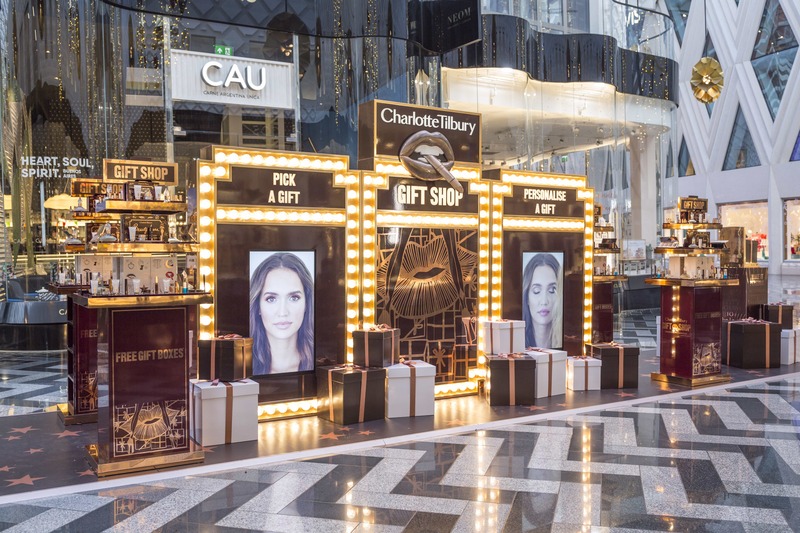 As a travelling pop-up shop, it may be coming to a store near you! This stand will be launching in Cardiff on Thursday 16th November until Thursday 23rd November 2017 and in Cambridge from the 27th - 3rd December. How exciting!